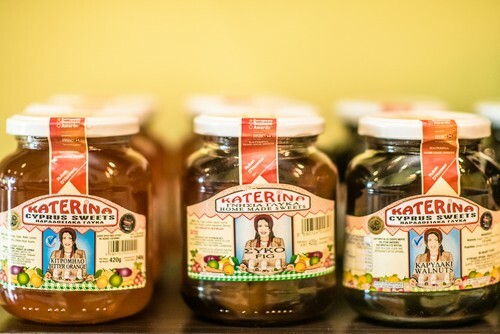 A Cypriot traditional homemade fruit stewed down with sugar to a desired consistency. This "spoon sweet" can be used as ice cream toppings, or mixed with yogurt and even spread as jam over toast for breakfast. Traditionally, they are served with Greek coffee and a cold glass of water.